When people ask me, who are the big four tennis players right now, I always get into a deep thought. Because several people have many different assumptions and their own favourites when it comes to big four players in tennis. I, for the one, always try to go by the actual statistics and records way. It is any player’s actual tennis game history, his/her game performances and actual game statistics, that matter when it comes to mentioning anyone the best of all time or the big player of tennis. Now many people have different questions regarding this issue. Some believe that there is no big four players concept in tennis. Some say that there is only big three in tennis. Some believe that it is already an end of big four era in tennis. While some opines that the new era of big four has already been started in tennis. In this article, I will try to throw some light on the current scenario of big four in tennis in 2018. I will also discuss who are the next big four players in tennis. So, keep reading further. Who are Called the Big Four of Tennis World in 2018? Who Has Won Most Grand Slam Championships in Tennis Among the Big Four? Who Has Won The Most Olympic Game Medals Among the Big Four in Tennis? Who Has Won Most ATP Masters 1000 Tournaments Among the Big Four Tennis? Who is The Best Tennis Player Among the Big Four? 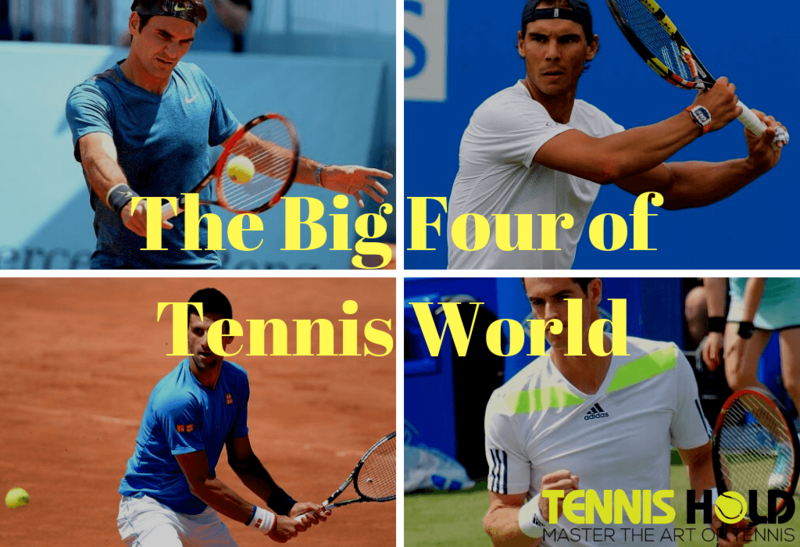 Who are the Next Big Four in Tennis? As far as total international and domestic tennis tournaments and competition victories are concerned, these 4 tennis players have won the most matches all over the globe. The most prominent tournaments where they have won are Olympic Games, Tennis Grand Slam Tournaments, ATP Finals, ATP Masters 1000 and ATP World Tour 500 Series. I strongly recommend you to watch the following video that shows the sheer strength, stamina and capability of these big four tennis players when they achieved big points in most grand slam tournaments. First, we will look at the table where we will know who has won maximum Grand Slam Championships among the big four of the tennis. 1. Roger Federer: Won 20 Grand Slam Titles from 2003 till 2018. Reached 30 Grand Slam Championships Finals. 2. 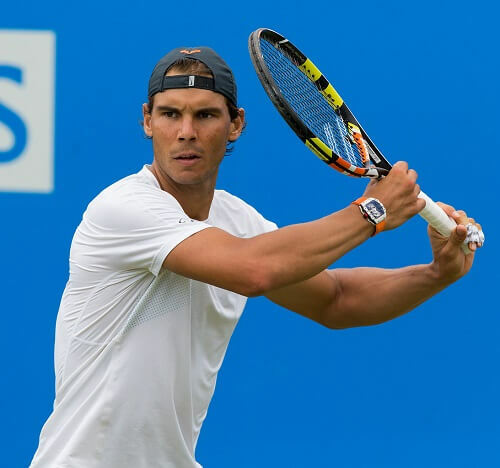 Rafael Nadal: Won 17 Grand Slam Titles from 2005 till 2018. Reached 24 Grand Slam Championships Finals. 3. Novak Djokovic: Won 13 Grand Slam Titles from 2007 till 2018. Reached 22 Grand Slam Championships Finals. 4. Andy Murray: Won 3 Grand Slam Titles from 2008 till 2018. Reached 11 Grand Slam Championships Finals. Therefore, it is clear from the Grand Slam Championship victories that till now Roger Federer is the clear winner among the other Big Three Tennis Players. 1. Roger Federer: He has won 1 Gold and 1 Silver medal till now in Olympic Games. 2. Rafael Nadal: He has won 2 Gold medals till now in Olympic Games. 3. Novak Djokovic: He has been able to garner only 1 single Bronze medal till now in Olympic Games. 4. Andy Murray: He has already won 2 Gold and 1 Silver medal in Olympic Games. So, Andy Murray is the clear winner here as far as Olympic Games are concerned. He has more Olympic Games medals as compared to the other Big Three tennis players. From Wikipedia records, you will know that Andy Murray has won about 14 ATP tournaments till now. Roger Federer has won 27 finals, Djokovic has won 31 and Rafael Nadal has been able to win record 33 titles in ATP Masters Tournaments till 2018. So total combined ATP tournament titles that these big four tennis players have won comes to 105. This is really a huge achievement for all of them. But among them, Rafael Nadal has been a clear winner as far as most ATP Masters Tournament Titles are concerned. It’s a close call between Roger Federer and Rafael Nadal. Both of these players have won more than 50 major tennis tournament titles. The total Point Value Equivalents of both these players are 75800 and 69000 respectively. 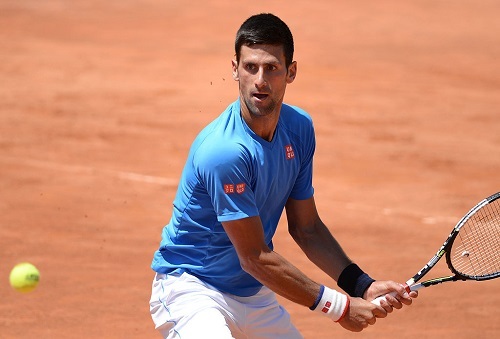 As far as Novak Djokovic is concerned he has won total 49 tournament titles and has about 64100 points. 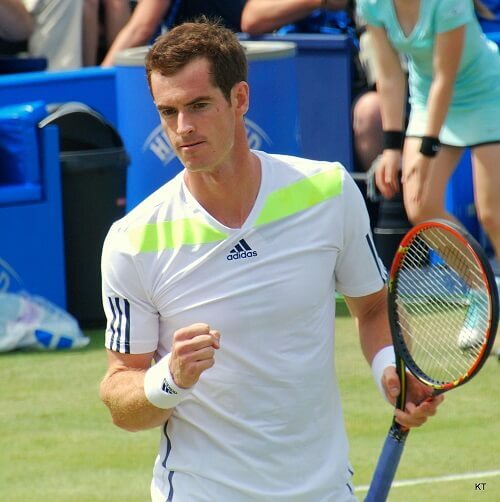 Andy Murray has been able to won only 20 titles so far and has about 25500 points till now. Therefore, among the big four in tennis, it is really a close competition between Roger Federer and Rafael Nadal. But if we consider all time tournament titles history and all the matches statistics, then I can consider only Roger Federer as the All Time Best Tennis Champion till 2018. So, I have heard this a lot of times. People say it is nearing the end of big four in tennis. If so, who will be the next big four in the world of tennis. This is the question that I will try to solve here. 2004 was the year since when the golden era of tennis actually started. Thanks to the emergence of these big four players in tennis viz. Roger Federer, Rafael Nadal, Novak Djokovic, and Andy Murray. Roger Federer’s current age is 37, Rafael’s age is 32 years, Novak’s age is 31 years and Andy’s age is also 31 years. So, honestly speaking Roger Federer may play next 3-4 years max. Rafael, Novak and Andy may play for next 5-7 years. After that who will bear the leadership board in tennis? Who will be the next big four players in tennis? This question also bothers me sometimes. But when I look out for the answers, I have found few promising young players who have the potential and capability to reach this status of big league players in tennis. Let us see who I think; have that potential to reach the big player status in the world of tennis. 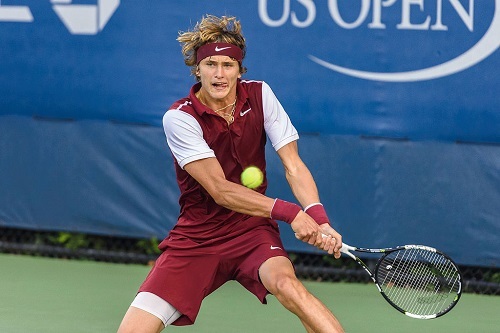 Alexander Zverev is from Germany and his age is just 21 years. He is currently ranked at no. 4 ATP World Rankings in 2018 with the 4845 points. He has turned Pro in 2012. In the year 2007, he reached his career high ranking of no. 3. This rank made him the top 3 youngest players in tennis to reach at no.3 so early in the tennis career. In 2013, he became no. 1 junior tennis player. In 2014, Alexander won Australian Open Junior Tennis Title and he was able to reach the final of 2013 French Open Junior Level Tennis Tournament. His biggest achievement till date I can say that he was able to defeat no. 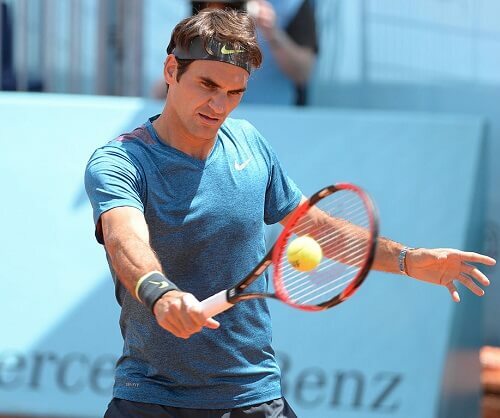 1 tennis player Roger Federer in the year 2016 Halle Open tournament. He has also once defeated Novak Djokovic. Till this time in 2018, he has been able to win 3 ATP Masters 1000 titles. At 21, this is a remarkable achievement for a young German player. So yeah, Alexander Zverev is my first my choice who can enter the next elite big four in tennis. 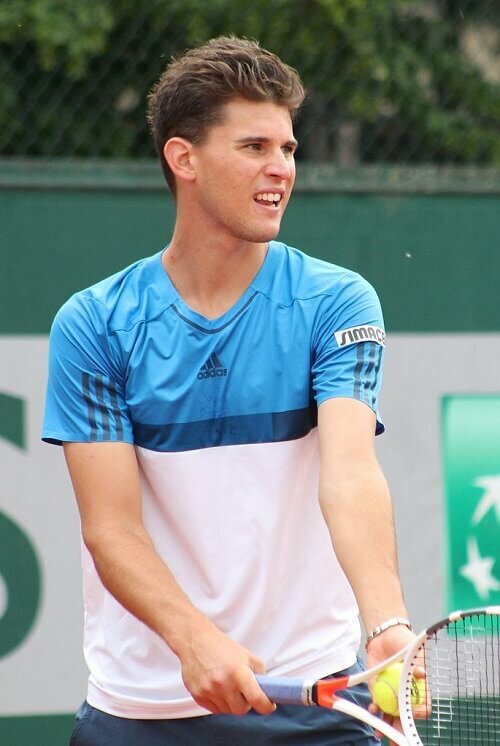 At the age of 25, Dominic Thiem is currently at no. 9 at ATP World Player Rankings in 2018. This 6 Ft. 1 inch young player from Austria has turned pro in 2011. Though he is oldest of my list of next big four players, he has been able to garner the most Grand Slam tournament matches victories among the other new big three players currently. In 2013, he was able to reach two quarter final matches of ATP Tour 250 tournaments. He is the only young brigade player who has been able to defeat all big four in tennis. Yes, Dominic has already defeated Roger Federer, Rafael Nadal, Novak Djokovic and Andy Murray at least once in his lifetime. So, he has that potential to reach the top position in tennis rankings. 38 Wins and 14 Losses is his current winning stats in 2018. His current points at ATP rankings is 3485. His winning percentage against no. 4 seeded Alexander Zverev is also really good. Therefore, I consider Dominic Thiem as no. 2 next big four tennis player. 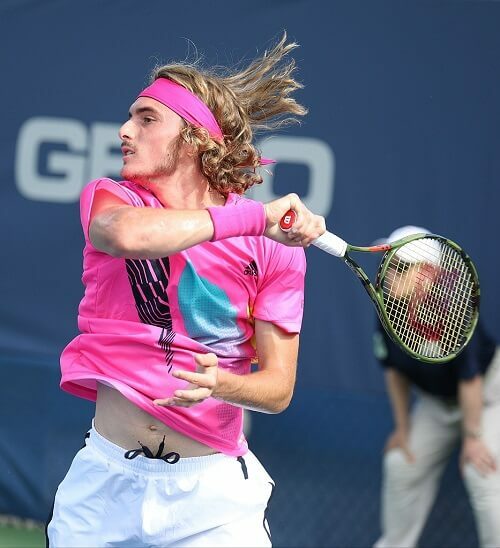 Stephanos Tsitsipas is the youngest player in my ranking of new big four players in tennis right now in 2018. This young player is from Greece and is just 20 years now. He has turned pro in 2016 and is currently ranked at no. 15 in World ATP rankings as of September 2018. He is the former no. 1 rated junior tennis player. He started playing ITF junior tennis in the year 2013 at the age of just 14. In 2016, he was able to reach quarter finals of all the grand slam tournaments he participated. He became top ranked junior tennis player later that year. In this same year, Stephanos won the European Junior Championship tournament. He was also able to win his major grand slam victory in doubles matches at Wimbledon. Till date, he has defeated top rated tennis players like Novak Djokovic, Alexander Zverev, Dominic Thiem, Kevin Anderson, Tommy Robredo, Pablo Busta and Lucas Pouille. Therefore, overall this young player has started his main professional tennis career on the bright note. He has a great potential to reach the top tennis rating. And I believe in the upcoming years, Stephanos Tsitsipas will be able to achieve some major victories and tournament titles. Lucas Poullie is at no. 17 in the World ATP Rankings as of September 2018. This 24 year tennis player was turned pro in 2012. Since then he has been able to win 1 ATP Tour 500 tournament title and 2 ATP Tour 250 Tournament titles. Tough he has not achieved any grand slam titles, his grand slam winning ratio is 50 percent. This means, he has already won 3 matches and lost 3 ones. His overall career wins are 106 and losses are 82. This French tennis player was able to achieve no. 10 ATP world ranking in March 2018. This ranking was attributed to his 5 singles titles of the ATP World Tour Tournaments. He is the Davis Cup winner of 2017 and he was able to achieve ATP World Tour titles on all court surfaces. In 2016, Lucas was able to reach quarter final in Wimbledon and US Open tennis tournaments. Though he has not defeated any Big Four tennis players yet, but I believe with more experience and practice, he will be able to reach higher rankings. I am sure that Lucas Poullie will be one of the strong contenders to enter into the next Big Four tennis players. So far, we now know that Roger Federer, Rafael Nadal, Novak Djokovic and Andy Murray are the current Big Four in Tennis. They will continue to play and dominate the tennis world till next 5-7 years or so. But then the young brigade has to take the responsibility and they will need to reach their peak performances and capability if they want to reach top rankings in tennis. 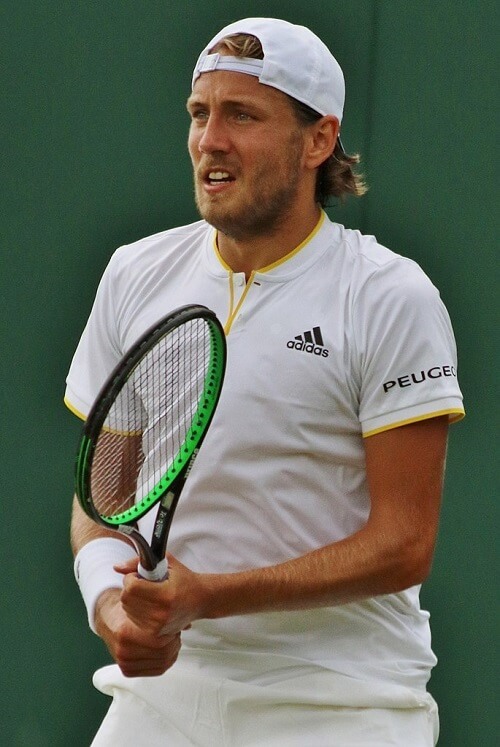 I think Alexander Zverev, Dominic Thiem, Stephanos Tsitsipas and Lucas Pouille are the young emerging players who have the capability to become as the next Big Four in tennis. There are few other players such as Andrey Rublev from Russia, Kyle Edmund from UK, and Hyeon Chung from South Korea. These tennis players have also a great potential to dominate the world tennis field. So, I wish all of these players good luck in their efforts and for their bright career ahead.